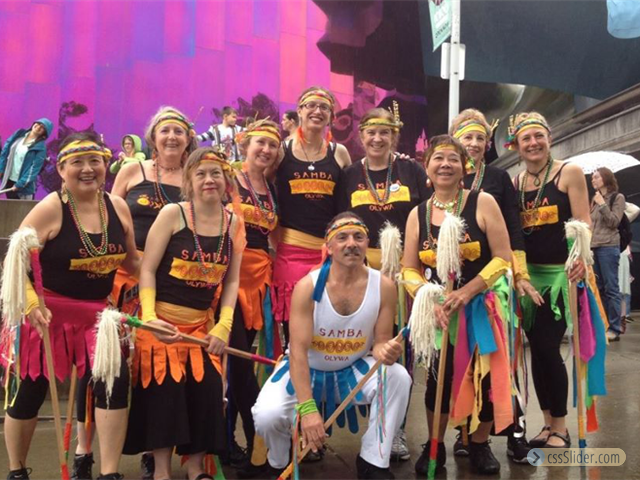 For 2019, Samba Olywa will join the element of Water! 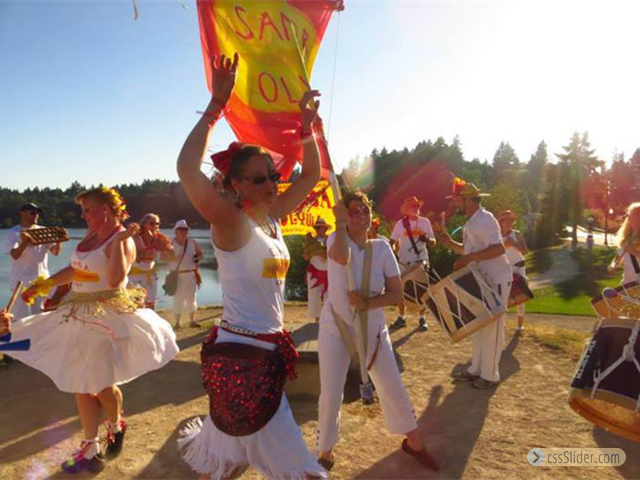 Samba Olywa (based in OLYmpia, WAshington) is an amateur percussion and dance group dedicated to building community through the learning and sharing of Samba and other rhythms. 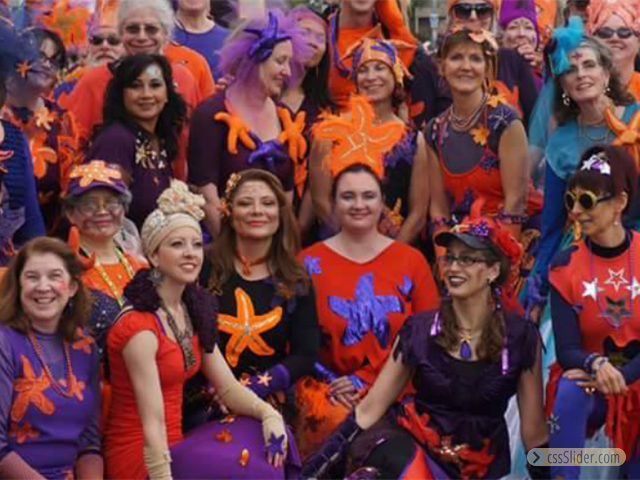 We provide the opportunity for anyone, regardless of experience, to join us as we take our spirited and joyous energy to the streets and to the stage. 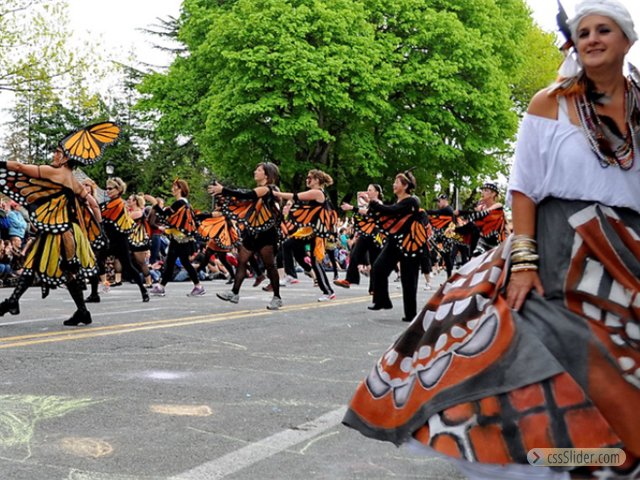 It all started in 1995 as part of the Procession of the Species Celebration, The Olympia community's honoring of our natural world through the public making and sharing of art, music and dance. We cycle through the elements and have been water (2015), fire (2014), earth (2013), and air (2012). 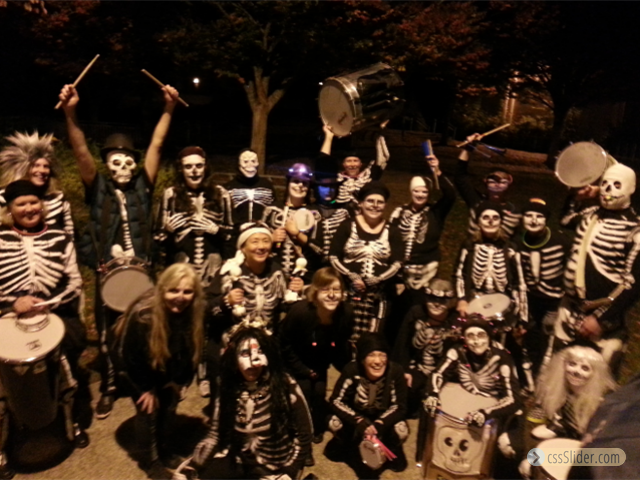 At first the group formed just for the Procession but little by little there were invitations to play for other events. 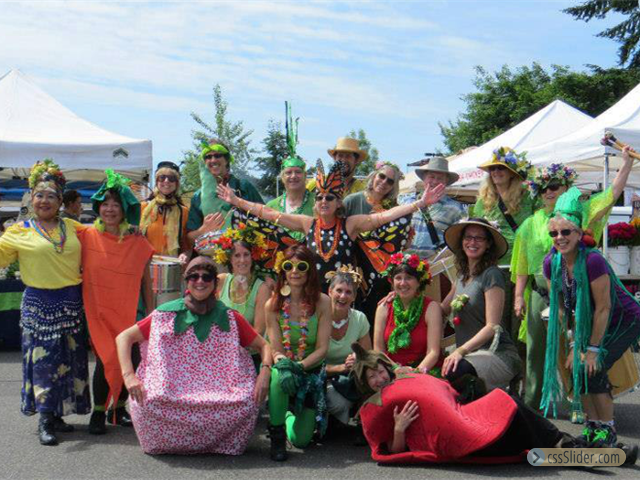 We regularly participate in NWFolkLife, the Fremont Solstice Parade, and local events in Olympia (Halloween Bonegang).